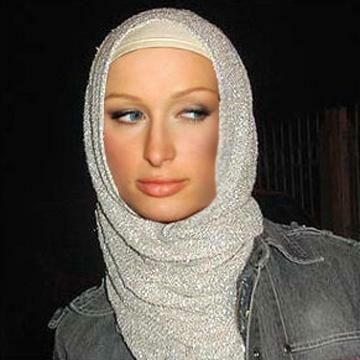 Paris Hilton Wearing Hijjab and converts to Islam? For those thousands of you who are somehow finding your way to this blog to establish if Paris Hilton has reverted to Islam I can assure or perhaps reassure you she has not. The rumour online appears to have spread rapidly and as Churchill mentioned a lie travels around the world before the truth gets it's pants on which was said before the Internet. However, she did appear to enjoy her time in Egypt before the revolution.